Sun Valley is located 12 miles from Halley and about 155 miles from Boise. Known as the “American Shangri-La”, Sun Valley opened in the 1930's as a fulfillment to the quest for a perfect American ski resort. An instant success, its phenomenal mountain, comfortable lodging and bright, clear ski days have become home to celebrities and family vacationers alike. Union Pacific Railroad ran trains from Hollywood (Los Angeles) to Sun Valley on a weekly basis. Dollar Mountain is a small mountain dedicated solely to beginners; with over 600 treeless acres, gently-sloping vertical feet, it is known as one of the best teaching mountains in the world. Bald Mountain is the resort’s main attraction, boasting 3,400 vertical feet of groomed runs, powdery bowls, abundant moguls and a half-pipe within 2,000 skiable acres. And enjoying these slopes is a breeze, thanks to the mountain's 14 lifts- including seven high-speed detachable quads!! Bald Mountain is not recommended for beginners. Sun Valley keeps a low-key atmosphere while maintaining the highest convenience and service standards. Its cluster of unique towns offers an abundance of après ski activities, including an Olympic-class ice skating rink, cross-country ski trails, and a gamut of artistic venues. You will be as amazed at the hundreds of dining and entertainment possibilities as you will be by the unmatched breathtaking scenery at this resort. 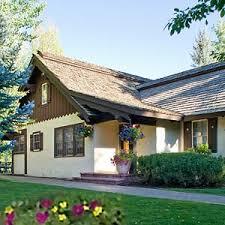 There are several 'communities' in the Sun Valley area, all of which offer lodging options. 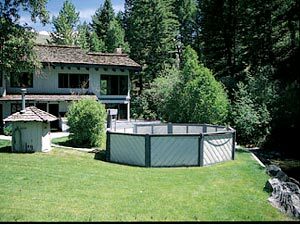 However, we particularly recommend the original resort- Sun Valley- or the Ketchum area at the base of the River Run. Sun Valley Resort offers a wide selection of accommodations from the Sun Valley Lodge (closed for complete remodeling in the 14/15 ski season) to large condominiums with the Village core offering a variety of restaurants and shopping opportunities and an excellent ski shuttle. In Ketchum with it’s Western atmosphere, you may choose from the convenience of the slope sided lodging to those that are a bit closer to the downtown area. Lodging on the Warm Spings side of Baldy (right side) is in most cases within walking distance of the ski lifts. The River Run area (left side) has a some lodging near the slopes, but most is in the town of Ketchum.